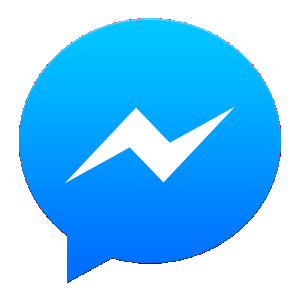 The traditionally used SMS messaging is quickly getting outdated, more so in light of the invention of popular and easy-to-use text messaging apps like Line, Kik, Telegram, and Whatsapp among others. All these messaging apps offer free messaging services. That isn’t all about them, some have got options for file sharing, video, and voice sharing among two or multiple users. Al these services will still be offered while entirely bypassing your carrier’s SMS and other call charges. The following are the top 5 widely used messaging apps in the United States in 2015. Whatsapp is available for iOS, Android, and WP8 for free download and $0.99 per year. This app is easy to set up and will still sync your phone contacts automatically and thereby identify the contacts that are in Whatsapp already. This app is ad-free and feature rich. It is a widely mobile messaging application. With it you can send and receive short videos, photos, texts and as well make voice calls. It’s the most popular application with over half a billion users. Skype app can function on all types of devices that support video calls. This app has most of its features free of charge. It’s compatible with PC, tablets, and mobile phones. It’s this compatibility that makes Skype more user-friendly than tango. Skype also supports conference calls on desktops. With Skype, it’s possible to chat, send SMS, and call landline and mobile contacts at a lower rate. With SnapChat app, things are a bit different. Images will be automatically deleted after they have been viewed. This app can be termed as a fun app rather than something for serious communication. You will be able to share images privately and quickly. It has an in-built self-destruct timer. The videos and images can be viewed for upto ten seconds before being deleted from the receiver’s phone. Just like Whatsapp, Viber is available for WP8, iOS, and Android for free downloads. The app is easy to set-up and will also offer you with a variety of services. Viber uses your mobile phone number as the login and therefore, you won’t mess-up with PINs. In order to assist you in finding Viber-using contacts, this app automatically syncs your phone contacts. With it you can send, video messages, voice, photos, emoticons, stickers, and texts. Other messaging apps that have gain a massive usage in the US include Kik Messenger, Line, IM+ (available for WP8, iOS, and Android for free), Google Hangouts and Wechat.